Ned Umber is found pinned to a wall by the Night King with a symbolic message, which looks like tentacles coming out of the body of Ned. Is there some meaning to that symbolic message? If yes, then what is that? Yes, there is meaning to it. 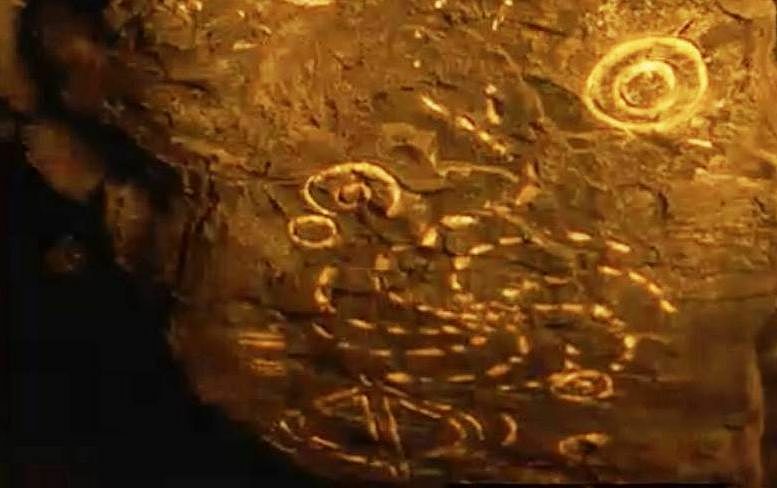 ...you see it again here and learn where these patterns come from, that they’re ancient symbols of the Children of the Forest used in their rituals, and the Children of the Forest created the White Walkers. As for what it means to the White Walkers, we can only speculate since the Walkers have not told us. In S8E1, Ned Umber is found at the center of the pattern, perhaps representing the Night King himself. The reconstruction of the birth of the White Walkers is completed when Ned Umber is pierced by a blade, causing the entire display to be consumed in flames. Perhaps this is a message to the humans concerning their impending demise, but the Night King also appears to use greensight (as evidenced by his ability to see and touch Bran through it). This means that his messages could be intended for any greenseers throughout time, such as the Children who made him or Bran in the present. We don't know the meaning. According to David Benioff, the meaning has not yet been explained. One of the things we learn from these cave paintings is that the White Walkers didn't come up with those images. They derived them from their creators, the Children of the forest. These are patterns that have mystical significance for the Children of the Forest. We're not sure exactly what they signify, but spiral patterns are important in a lot of different cultures in our world, and it makes sense that they would be in this world as well. The one thing we do know is that it was a symbol of the children of the forest. It does seem like this is an an attempt to send some sort of message to humans. The scene in Season 8’s premiere is clearly a callback to the very first scene of the series. Between them lies seven seasons, 68 episodes, and multiple moments when the White Walkers attempted to send “a message” to the humans. 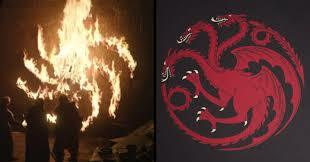 David Benioff also mentioned that these symbols were used in the rituals of the Children of the Forest. There are certain symbols and patterns that recur throughout the show. 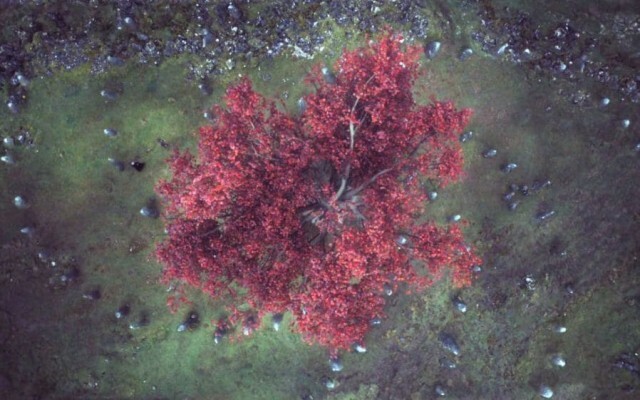 The first time we saw that was in one of the very first scenes in the pilot, when Will the ranger sees the wildling body parts in an odd pattern displayed by the White Walkers. 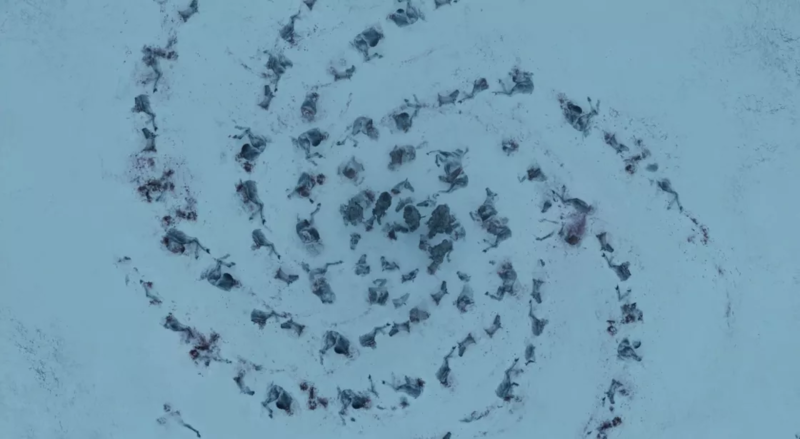 We see it again north of the Wall with the dead horses displayed in a spiral pattern, and then you see it again here and learn where these patterns come from, that they’re ancient symbols of the Children of the Forest used in their rituals, and the Children of the Forest created the White Walkers. So, in conclusion this symbol has been around for quite a while (as mentioned in the answer above). A good part of this story is about the notion of "breaking the wheel" as The Night King's story (on the TV series) is about a man who was turned into a White Walker by the Children of the Forest. So what's in this scene? During the course of series certain northern houses like the Karstarks and the Umbers refused to remain loyal to House Stark, breaking centuries old oaths. Rob actually executed a Karstark when he killed someone Robb asked him not kill. So at any rate Jon's whole deal has been that children of these families are not their fathers and is against the whole "sins of the father" notions that many groups of people and individuals use as an excuse to sometimes unjustly harm others. 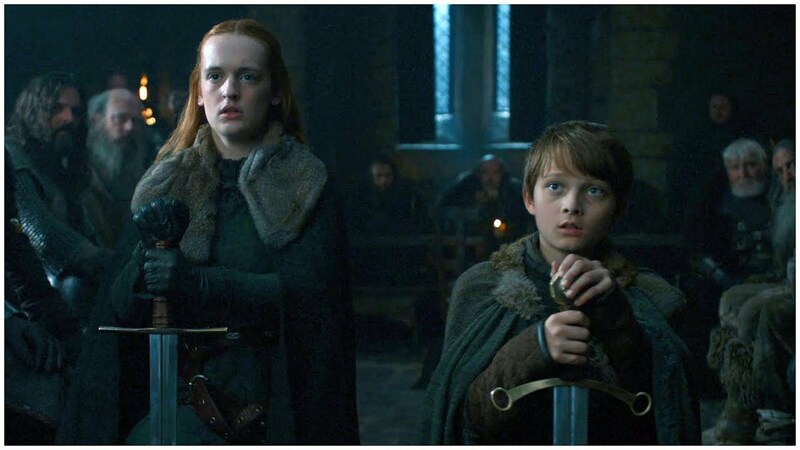 In Karstark's and Umbers' case, they're only children left to lead their houses. Last season to punish these two house Sansa suggested to take away their castles, but Jon, upon becoming King in the North, refuses, siting again that these children are not their parents and that these castles have been in their families for thousands and thousands of years and he will not just take their home away from them. Jon is being progressive and believes he is doing the right thing. The children also re-pledge loyalty to House Stark. But as I mention, his name is also "Ned" and was named for Eddard "Ned" Stark. Viewers now know that Ned Stark was not as honorable as many such as Jon had thought him to be, whether it was to protect Jon Snow with a promise he made to his sister Lyanna Stark or the unhonarable way he and Howland Reed fought at The Tower of Joy. 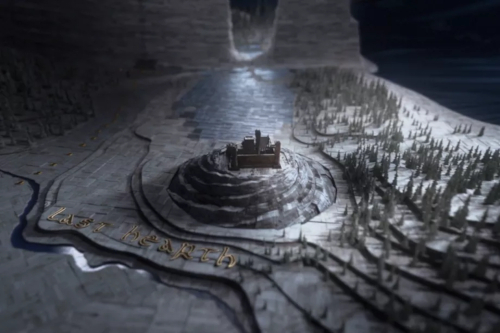 But even more interesting is that the opening scenes of the series feature a young man deserting the Night's Watch after witnessing the destruction of the White Walkers, including finding body parts laid out in spiral/circular patterns! Ned, doing what he thinks is right, beheads the deserter when he is found near Winterfell. One could argue this was a symbolic gesture that foreshadowed Ned's fate at the end of season 1, whether one wants to interpret it as karma, because he didn't spare him or more importantly, he didn't take what he was saying seriously, while also ironically fixating on the true nature of Robert's children, while keeping one huge secret of his own (Jon Snow) and not really thinking about protecting his immediate family. 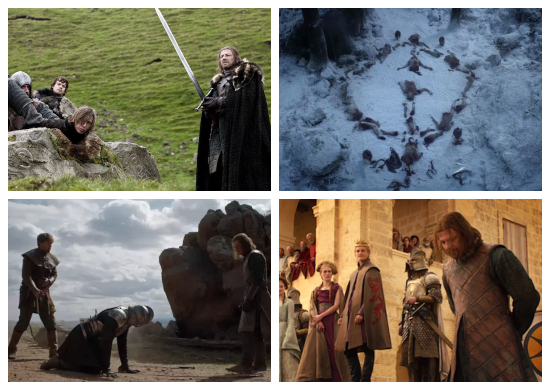 So in some ways having little Ned Umber die was like having history repeat itself with reminding us about "Ned" and Ned dying, pulling ideas from the first season back into this episode, but also because the truth of about Jon Snow's heritage is finally revealed to him in the crypts of Winterfell by his father's, err I mean Uncle's statue! 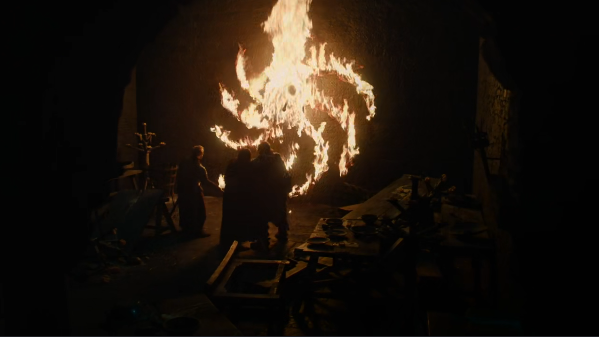 And finally, what can you tell us about the spiral the White Walkers create with Ned Umber’s body and severed arms? This pattern has appeared a lot on the show. Not the answer you're looking for? Browse other questions tagged analysis game-of-thrones . What was the significance of the chess piece? Why did the Night King attack the furthest target first? Why worry about the Night King if they have the wall? Is this thing a wight or a White Walker? How is the night king not at the wall yet? Is the Night King prophetic? Why didn't the Night King try this before?